A powerful, quiet, compact tower you can take anywhere. The Alen T500 combines ease of portability with powerful air purification, a small footprint, nearly silent fan, a choice of HEPA filters and designer color options that complement your home. Take control of your indoor environment, wherever you need it. Designed for portability, travel and fitting into tight spaces, the Alen T500 is the perfect travel companion. Whether you're moving from room to room in your own home or taking it on the road, its light weight and built-in handle make the Alen T500 easy to move around. 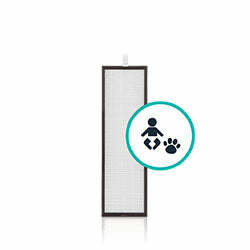 And its conveniently compact size and small footprint let you set up fast, wherever you need air purification. The Alen T500 packs full-size performance in a sleek, compact tower design that is as powerful as it is quiet. And its nearly silent sound profile has been carefully engineered to provide a steady and restful tone, which means that even when it's working its hardest, you just might forget it's there. Our team has developed the Alen T500 to make it simple to use and easy to maintain. The portable tower features an LCD panel with intuitive controls, allowing you to adjust settings with just a quick touch of a button. Two color options let you pick the best match for your home decor, with additional inlays available in T500 Designer models. 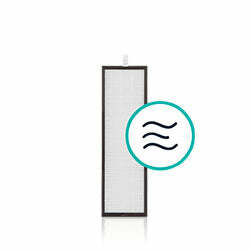 And easy-to-change HEPA filters ensure the quality of the air you breathe is the healthiest for you and your loved ones. A solution that delivers unparalleled quality. The Energy Star Certified Alen T500 air purifier transforms your indoor air environment using carefully positioned fans and vents that maximize airflow, giving it consistent performance no matter its placement or the obstacles in the room. 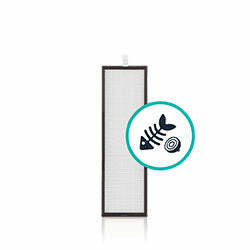 Plus, choose from four HEPA style filters to target a wide range of airborne allergens, dust, bacteria, pet odors and more, so you can breathe better, anywhere. Its intuitive design, whisper-quiet operation and a lights-off mode for sleeping make it a superb choice for large bedrooms as well as open concept rooms. Child-friendly features include a locking control panel and child-safe vent guard make it THE choice for homes with kids or grandchildren. 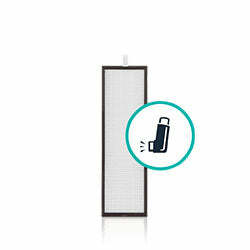 Alen T500 Tower Air Purifier has a rating of 4.7 stars based on 269 reviews.